Wondering if anyone could help with the 60 397 numbers on this build sheet. They are obviously not the dealer zone and code, any ideas are appreciated? 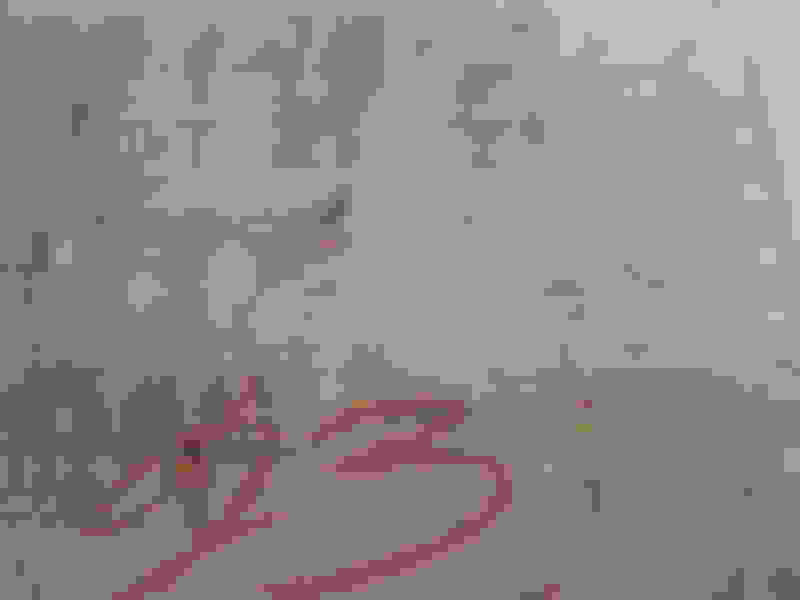 Last edited by fsc66; 04-14-2019 at 01:33 PM. 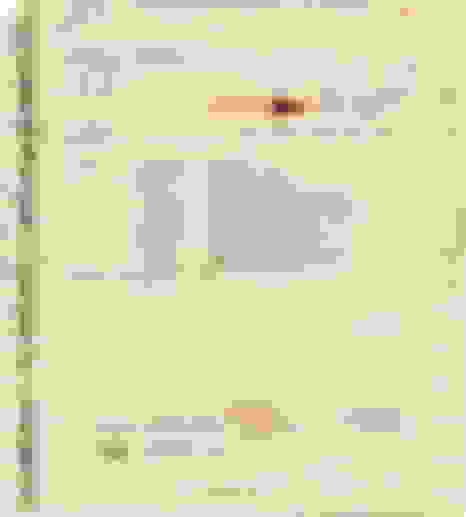 I think that document is called something else..
Last edited by Frankie the Fink; 04-14-2019 at 01:39 PM. Where did this sheet come from? Was it on the car or from the dealer? Maybe the 397 number is the job number similar to 67 + tank stickers but that leave the 60? Last edited by fsc66; 04-14-2019 at 02:35 PM. There is also a handwritten number on all the 63’s I see, wonder if that would be the equivalent of a job number rather than the 397.
all 63-67 cars had the job number that went from 1 to 499 and started over. Most of us here know that they did not start leaving them in Corvettes until 1967 located on top of the fuel tank but that does not mean prior year cars did not have them. Unusual to still find a copy 50+ years later in a dealers files. ALL U.S. manufactures used a “build or broadcast” sheet throughout the assembly process with nearly every department receiving a copy. Different manufacturers would or would not leave them in the cars or not. Chrysler Corp was famous for leaving them strewn throughout the cars when they were delivered to dealers in the interior and trunk. Often times they were not from the car they were in. Sometimes you would see hand written notes for a line worker down the assembly line on them. Most of us here know that they did not start leaving them in Corvettes until 1967 located on top of the fuel tank but that does not mean prior year cars did not have them. Unusual to still find a copy 50+ years later in a dealers files. Last edited by 68hemi; 04-14-2019 at 03:35 PM. Not GM but here are a couple of pictures of a 1966 Coronets. frank if you bothered to read my post you would see all cars for GM had SEVEN build sheets for different areas of production. One of them was the “shipping” copy which this is. This car was with the freight compeny and was delivered with the car I think this copy is how the dealer printed up the window sticker or how they priced the car And most if not all of them was kept with the dealer for a short time then pitched Most GM plants had a thing about not leaving any “trash” in the car when completed. Some plants where better then others. At any rate, the document is as cool as it gets.. Window stickers were NOT printed by the dealers but rather were done at the factory and came on the window of the car when delivered to the dealers. The document is on the wall in my home office and the car is in my garage. The 397 is the job number. The number is on the engine-side firewall, rear bulkhead and on the hardtop. The 422818 would have appeared on the window sticker. Still have not determine what the COPO code is as there are no unique features on the car. The truck driver left the document with the dealer when the car was delivered. Most were trashed by the dealer, some were given to the buyer and some survived in the glovebox. The dealership was Capitol Motors in Hartford, CT. It's been closed for decades. As soon as I get it out of winter storage I will be selling the car..
Last edited by 63driver; 04-15-2019 at 09:50 AM. That's NOT the "shipper" document. 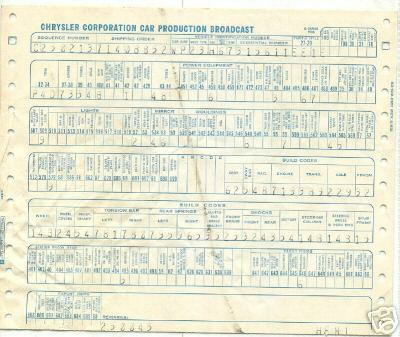 The shipper document says "CAR SHIPPER" at the top. 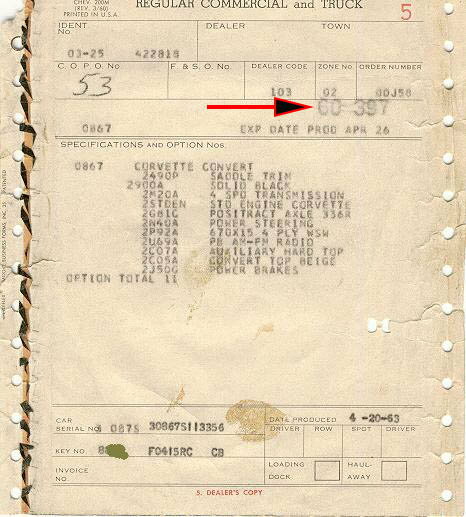 What we have here is a copy of the computer line printer generated production order that was used on both the truck and Corvette side of the St. Louis plant. I have the dealer copy for my SWC that was built about a month before. The dealer copy is the bottom copy of this multisheet form that is made from thick tan paper, like a file folder, but not quite as thick. I don't know what the "53" is in the COPO box, but it's not a COPO. Mine has "39" written by the same hand in the COPO box, but lacks anything like what looks like an ink-stamped "60-397". It's a rarity for any C2 owner to have this document for their car - EXTREMELY RARE, and having the original bottom copy of this form that was mailed to the dealer is almost certain to be irrefutable evidence of the production configuration. It's so rare and so few know about it that I don't think anyone has tried to counterfeit it, yet. Since my SWC was a plant delivery, it also has that information including the customer name manually typed into the blank area below the option total. I also have the shipper and several other documents relating to production and the plant delivery, and how I came by those is an interesting story in itself. Back in 1980 as it was becoming clear that vintage Corvettes were becoming collectible, I asked my dad in a letter if he still had a copy of the cancelled check. Since I didn't have a checking account I transferred funds from my savings account to his check account so he could write the check. I waited about a week and then called to ask if he had found the check. He said no, but found some other things. I asked what, and he said there was a manila envelope in the mail to me. I could tell that he was messin' with me and wanted it to be a surprise. A couple of days later the envelope arrived, and I was blown away. 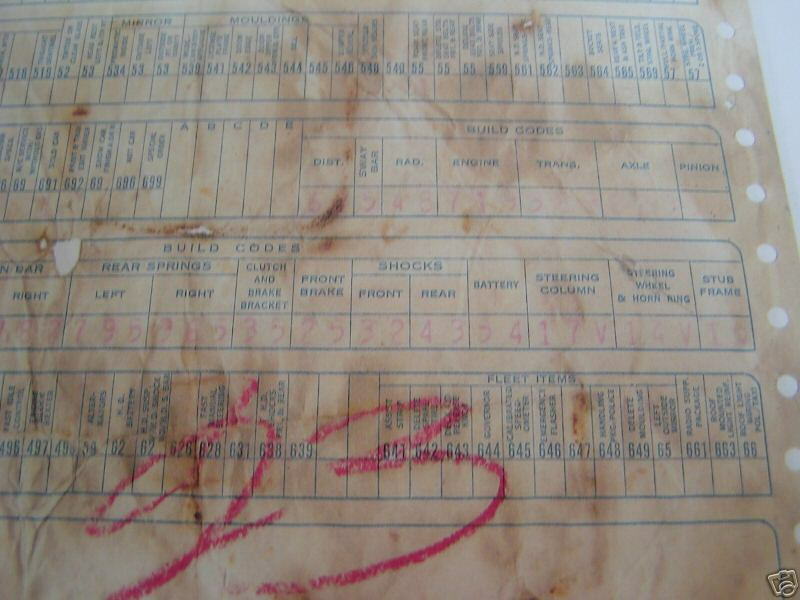 It included the dealer copy of the production order, shipper, window sticker, Alan Green Chevrolet purchase order... everything including documents to implement the plant delivery, all in pristine condition. Though the cancelled check was not included there was a receipt for the cash price from Alan Green Chevrolet along with a letter from my dad explaining the back story, which is a story in itself. At age 16 I didn't care about no stinkin' documents. I just wanted to drive the car. But my dad, being a former Pontiac, dealer knew what they were. He stashed them in his old hard leather Hartman suitcase in the back of his closet where he kept important documents like stock certificates, and when I asked about the check he remembered what was in his old Hartman. That old Hartman that dates back to at least WW II, if not before, is now in my possession and filled with my fifties vintage Lionel train rolling stock other than most of the Santa Fe Super Chief train set that is now mounted on my living room wall above the couch with functioning LED lights that turn on when the sun goes down. Last edited by SWCDuke; 04-15-2019 at 03:16 PM. Fascinating information, and a very cool family story, Duke. Thanks for sharing with us.